The ease of accessing Australian TV content is second to none. Whether it's on Netflix, Stan, Freeview or IPTV it's all easily accessible via the superb, highly-responsive remote. If you're paying more for Foxtel it's time to ask why. We last reviewed Fetch TV’s main set-top box (second generation) two years ago. How things change in that time? Back then we primarily lamented the lack of built-in WiFi – something that would be unthinkable these days - but now the third-generation box (called the Mighty) has added it to the mix. For one thing, this makes it easier to position in your home - a refreshing change from having to hire someone to drill holes in your wall as with Foxtel. There have been many other changes in that time, both internal and external. Internally the box can now support 4K streaming and the new remote is a triumph of industrial design. The boom in catch-up TV apps and media streaming services has meant that there are now many additional services on offer. And here’s where the Fetch wins… it combines everything together for the most seamless experience on the market. On the one hand you’ve got all the free-to-air “Freeview” channels which can be accessed through a quick channel scan using a regular antennae connection. The box is smart enough to avoid most duplicate channels (although we did end up with two channel 10s). You can hide or add channels as you see fit. On top of that you’ve got a very impressive selection of ‘cable TV’ channels which come in one, all-encompassing $15-per-month entertainment pack. These are seamlessly integrated into the Electronic Program Guide (EPG) with the Freeview channels and as such, thanks to the built-in 1TB hard disk, you can easily pause, record or set series-links or watch one channel while recording others. Freeview and internet channels are listed seamlessly in the EPG. If you’ve used Foxtel recently, much of the content will look very similar except that it’s laid out better, is navigable with a responsive and functioning remote and costs a whole lot less. 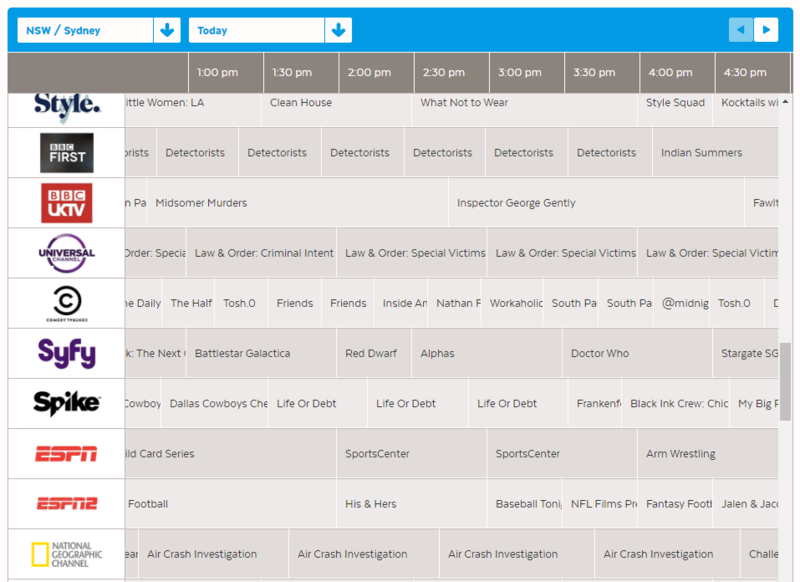 Fetch TV's main channel package is well-stocked for just $15 per month. CNN was recently added to it. Fetch also offers access to additional specialist channels for niche-interest and sports fans as well as foreign language channels. On top of this there are the usual purchase and rental options for ‘new’ premium movies and TV shows. Most of it’s in Standard Definition though. One thing you won’t see on Foxtel is the built-in apps for Netflix and Stan (and the soon to be defunct Presto) or the major Australian networks’ catch-up TV channels. Yet all of that is easily discoverable and accessible within just three clicks. And yet that’s still not all. Fetch TV's remote is simple, responsive and intuitive. Also, if you press the 123 Button, the buttons become an number pad. By plugging in external USB storage, the Mighty can play media downloaded from elsewhere and, for DLNA-compatible home network devices, it will play back content from other sources too. 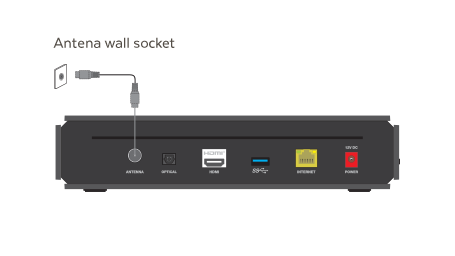 The rear of the Mighty is simple: there's an antennae port, HDMI, optical audio, Ethernet and USB. WiFi is now built-in. We’re used to being able to do this by using multiple devices and somehow hacking them together and switching between them. For everything to be in the same place is an absolute dream and this is what makes the Fetch TV Mighty a real winner. And we haven't mentioned that you can view all your channels and purchased TV via a mobile app - having the Disney Channel on tap can be handy if you have kids! But there are a couple of issues.